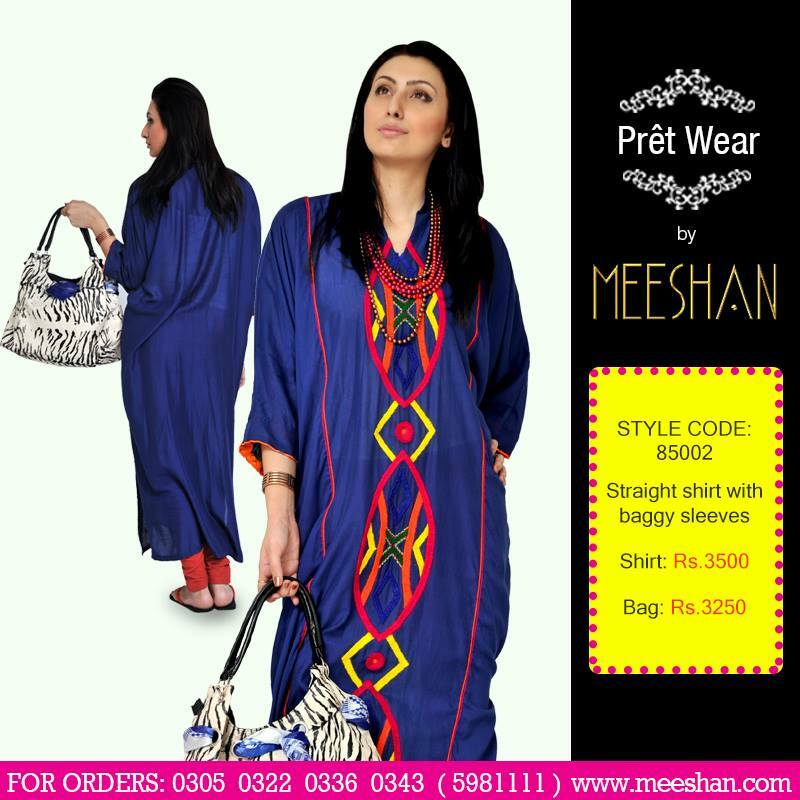 Fashion world latest Fashion: Pakistani ladies latest fashion Pret wear by Meeshan. 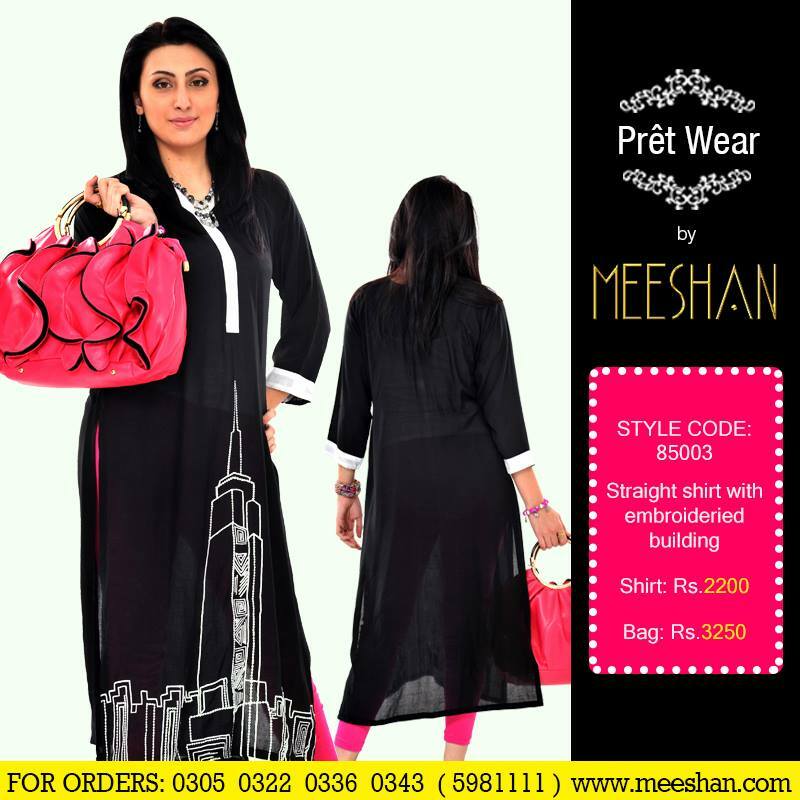 Pakistani ladies latest fashion Pret wear by Meeshan. 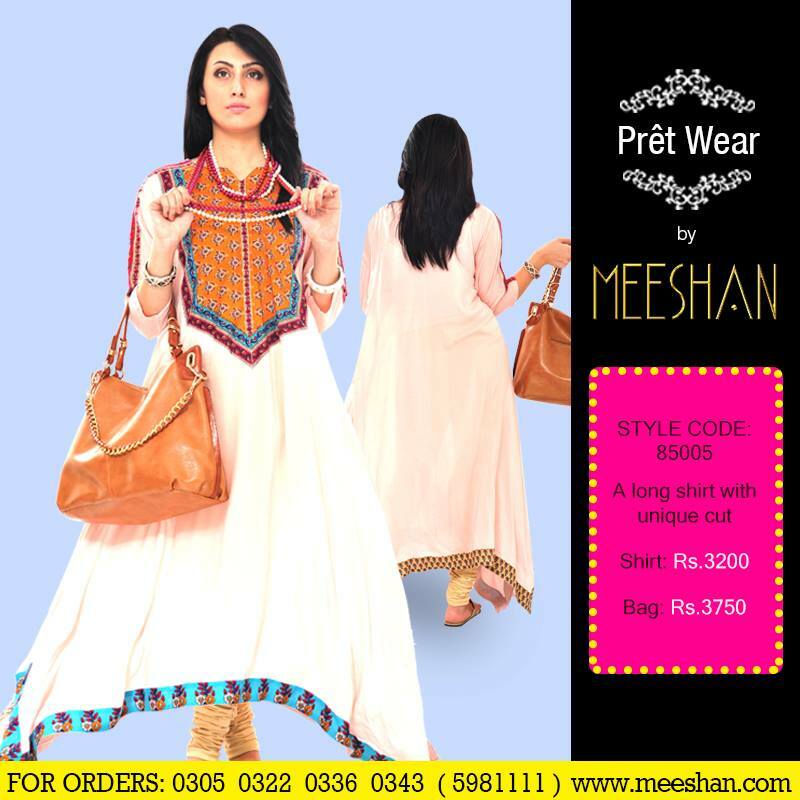 A long shirt with a unique cut , printed neck line Hem & full sleeves. 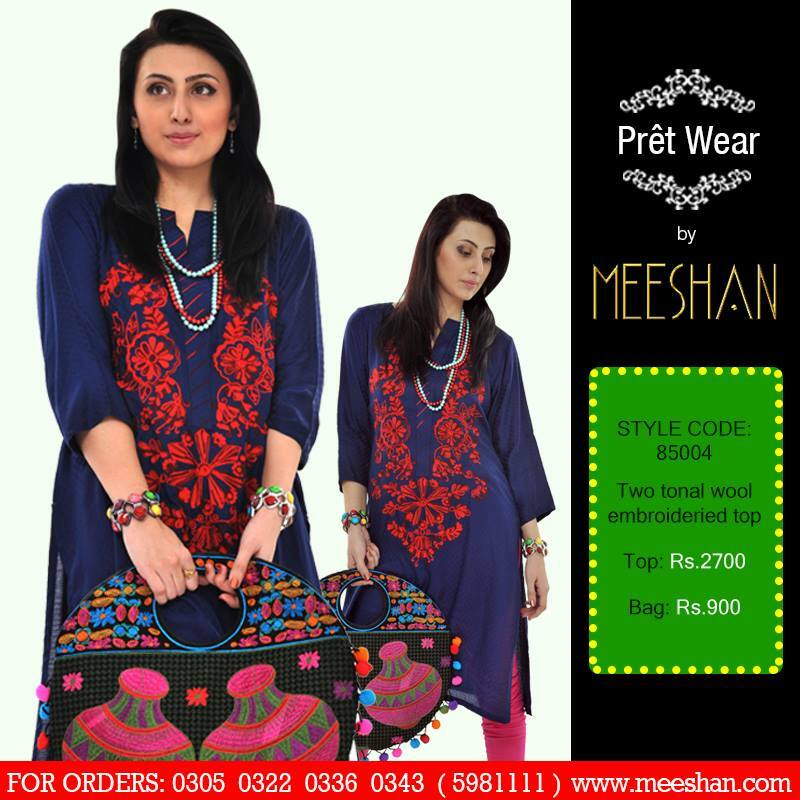 A splendid straight shirt with baggy sleeves & embossed embroidery with RESHAM thread. 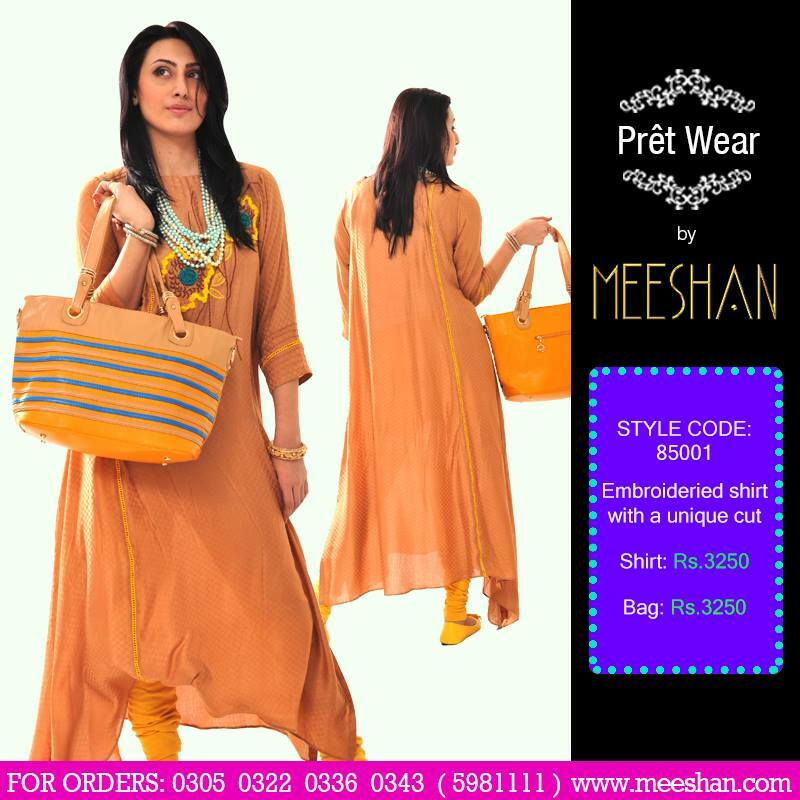 Labels: Pakistani ladies latest fashion Pret wear by Meeshan.